Every feast I make begins with a menu. 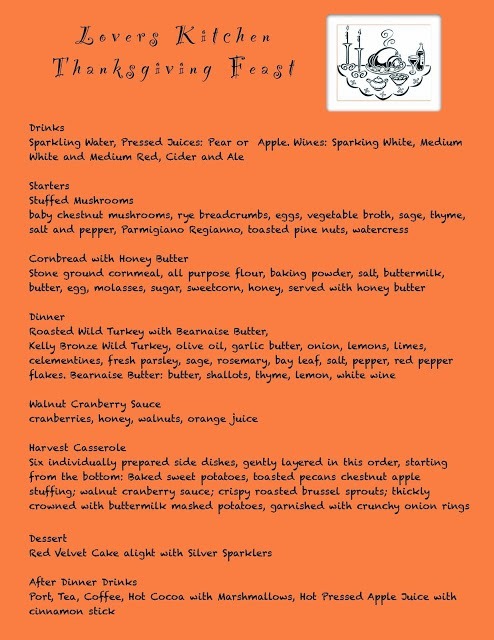 Before buying everything, I email the menu to guests ensuring their tastes and dietary requirements are catered to. I reference it while buying ingredients and post it in the kitchen while prepping and cooking. Later I tuck it into a notebook, complete with scribbles and doodles, last minute menu changes, guest list and telltale crumbs. I adore any day set aside for feasting with family and friends. Ideally, Sundays are made for this, but with many of us engaged in shift work, self employment, the arts, and living far apart, we're lucky to clasp hands around the groaning board a few times a year. Celebrating Thanksgiving in England isn't without complications. For starters, the fourth Thursday in November is not a holiday in the Mother Country. Everybody is working. 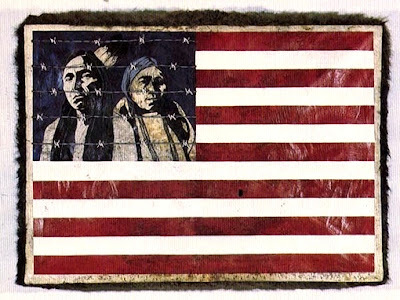 There is also the matter of Thanksgiving American style, originating with a group of disgruntled protestants, fleeing Plymouth, England, in exchange for Native American hospitality. Inviting Brits to a feast that marks the survival of those who fled their country seems a tad distasteful. Fortunately, the British appreciate irony. And they have a terrific sense of humor, or rather humour, as spelled on this side of the pond. In the autumn of 1621, after the Native Americans helped the pilgrims survive their first year in the New World, everybody got together for a feast of shellfish, deer and corn. 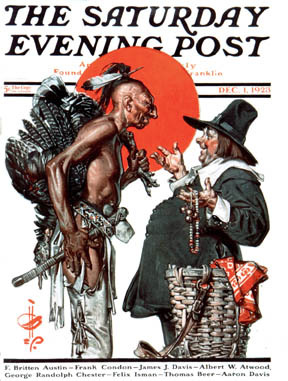 Without the original American's knowledge of fishing, hunting and gardening, the puritanical pilgrims would have starved to death. Native Americans weren't the first indigenous people to lose life and home in exchange for hospitality, but because of the connection with America's first white settlers, I've had to re-interpret the meaning of Thanksgiving for myself. I think of it as a time for appreciation and gratitude: Love expressed through food, like every day, with a lot more preparation. 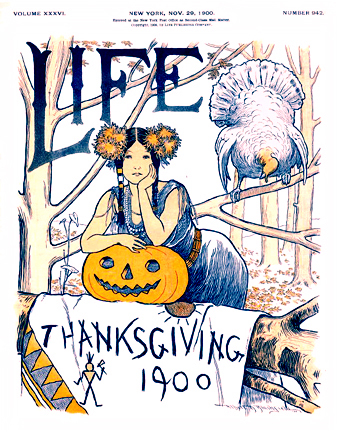 Over the last four hundred years, Thanksgiving in the states has evolved into a nationwide celebration of food, family and friends. It is the single most traveled day of the year. The must-have-meal begins with turkey. Some 43 million turkeys are sold for Thanksgiving. Along with turkey, the traditional feast includes gravy, stuffing, mashed potatoes, cranberry sauce, yams (sweet potatoes) various other vegetables nobody eats, and pumpkin pie crowned with whipped cream. The meal is usually enjoyed sometime between lunch and dinner. 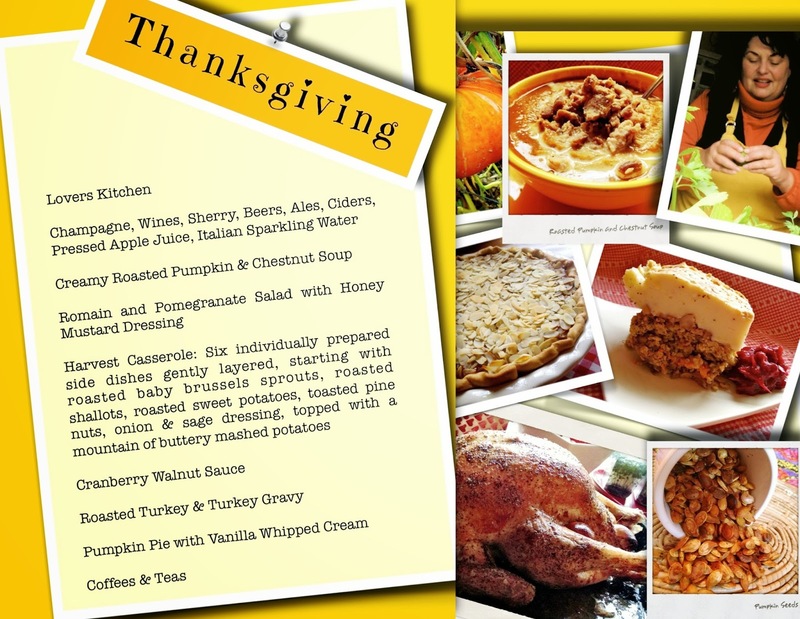 If it's a large gathering, it's customary for guests to bring a dish with the host making the turkey and stuffing. This is an opportunity for family and friends to show off their culinary skills as pie, casserole and hors d'oeuvre makers. 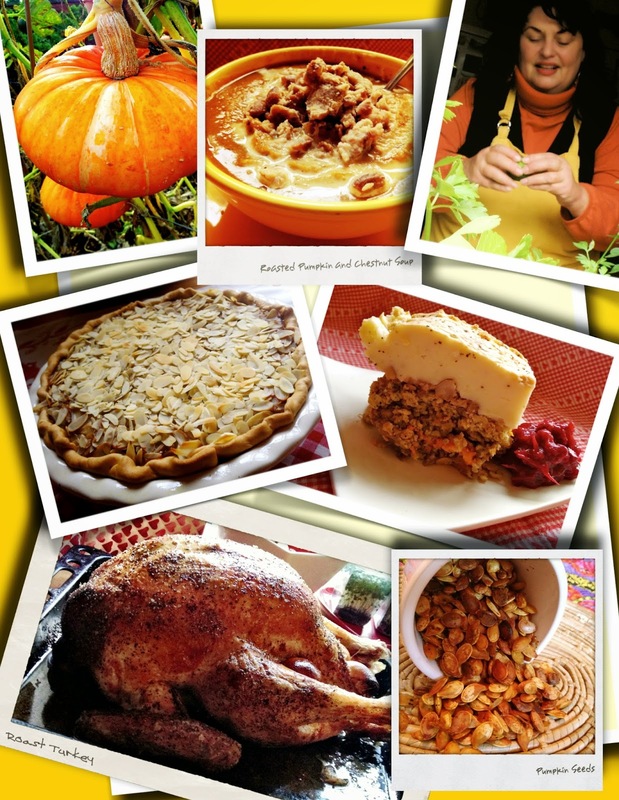 Casseroles have a big place in Thanksgiving feasts. There are green bean casseroles and candied yams adorned with baby marshmallows. 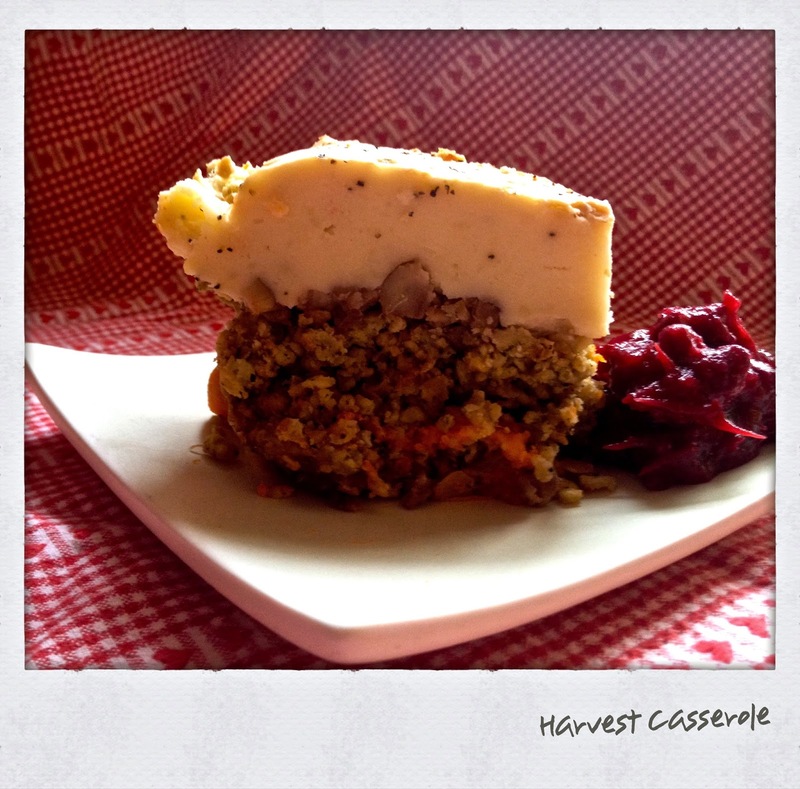 I created Harvest Casserole for the love of a vegetarian. I couldn't bear the idea of him sitting there with a plate of mashed potatoes and green beans. I wanted to feed him something memorable; a luxurious, colourful, rich, satisfying feast; something even carnivores would lust for. This is six traditional side dishes, all meat-free, each individually prepared, then gently layered and re-heated just before serving. You can make this a couple of days in advance. Good thing, as it does take time. This is usually the first thing I make for the feast. And truthfully, it' so good I'd be happy with the Harvest Casserole alone. This from a bonafide turkey lover. Large, heavy-bottomed, deep, rectangular baking dish, or roasting pan. Ideally something like a lasagna dish, in the 32cm/14-inch range. Wash the produce. That's the sprouts and yams. Set aside. Place the sprouts on a large, shallow roasting pan. Peel the shallots and slice in half length wise. Add them to the roasting pan with the sprouts. Pour olive oil over the sprouts and shallots. Shake until thoroughly coated. Sprinkle with half the salt and pepper, as well as the chili flakes. Place roasting tray in the upper part of the oven, as you'll be adding the potatoes in a few minutes. Roast sprouts and shallots in hot oven, shaking a couple of times to toast on all sides. Roast for about 30 minutes, or until golden and slightly crispy. Cut the sweet potatoes in half and place on a second roasting tray. Add these to the oven, placing them on the lower level. Depending on size of the potatoes, you'll roast for about 45 minutes. Turn once while roasting. Generously butter baking dish. Save the rest of the butter for the mashed potatoes. Set aside. Peel potatoes and boil or steam for the mash. When potatoes are fork tender, add the soured cream, salt and pepper and mash until you achieve the desired consistency. Set aside. In shallow skillet, dry roast pine nuts over medium heat for about eight minutes. Set aside when richly browned. Note: Pine nuts burn easily, so best not to leave them unattended. Make the stuffing. I admit, I usually use good packet stuffing for this part of the recipe. Make any stuffing you like, just don't add meat. One of the many joys of this dish is that it is all vegetarian. When you have prepared the six ingredients, layer them in the buttered baking dish, starting with the crispy sprouts. Next add the roasted shallots, followed by the sweet potatoes. Your fourth layer is the pine nuts, topped with the stuffing. Lastly, crown casserole with a thick layer of mashed potatoes. You can either set the casserole aside until you're ready to bake, or pop it in the oven, set at 180c/350F for 45 minutes. The mashed potatoes should be browned on top. Serve hot with generous pats of butter. Roasted onion and sage gravy goes great with this too. The one accompaniment I must always have with turkey is cranberry sauce. It's the easiest, prettiest thing in the world to make. In about 30 minutes, you can have a big, glistening bowl of richly textured, rub cranberry sauce. Place the cranberries in a large stockpot over low heat. Add honey, walnuts and orange juice. Blend. Simmer gently for about 30 minutes, stirring often. Taste. I like my cranberry sauce on the tart, thick side. If you like yours sweeter, add a bit more honey. *Brined birds require half the salt. Take the bird out of refrigerator. Remove neck, giblets and liver from the turkey. The giblets are usually in a separate bag, slipped under the skin. Set all this aside for the gravy - if you're making a meat-based gravy. The drier the bird, the crispier the skin, so don't rinse it before roasting. Place it on a large roasting tray. Allow it to reach room temperature. This usually takes a couple of hours. While the turkey is resting, prepare the herbs, produce and seasoning. Slowly melt butter in small sauce pan. When butter is melted, add olive oil, salt and pepper flakes. Separate garlic cloves and peel. Chop half the garlic (4 or 5 plump cloves) and add to the butter mixture. Toss the remaining garlic cloves in a largish bowl. With a sharp knife, peel lemons, limes, oranges, and onions. 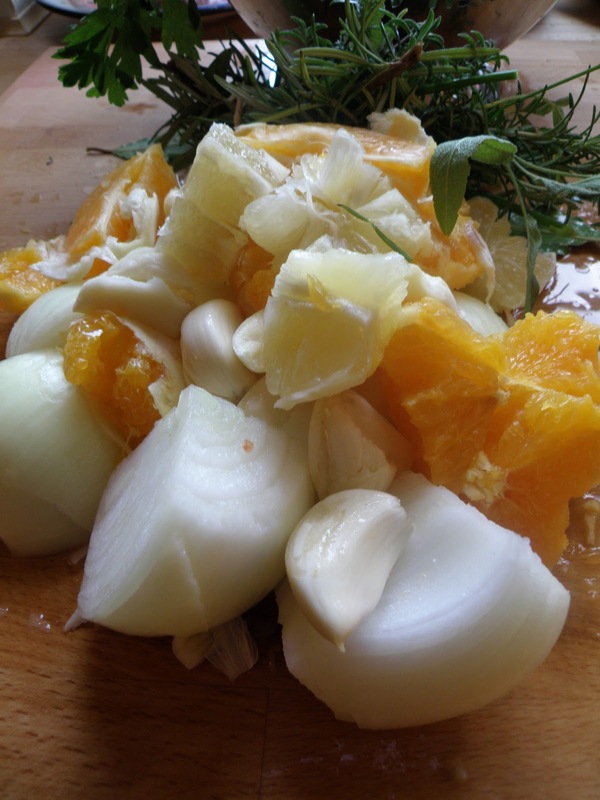 Rough cut citrus and onions into quarters. Toss into bowl with garlic. Add the rosemary and sage. When turkey is no longer cold, heat oven to 180c/350F. Place 2 tbs of the seasoned butter mixture into the turkey's cavity. Stuff turkey with the citrus, onion garlic and herbs. Don't forget the second cavity area, under the breast. Rub some butter mixture in there and stuff with mixture as well. Starting with bottom of turkey and working your way to the top, generously spoon the butter mixture onto bird and gently massage, coating every part of the bird. Tuck the wings and neck skin under the body. If you want, tie the legs together with cooking twine, but I rarely do. Cover the breast with a doubled piece of damp cheese cloth, or foil, for the first 90 minutes of cooking. Place turkey at lowest level in hot oven. Roast for approximately 3 hours. Remember to remove cheese cloth or foil half way through so the breast beautifully browns. Baste the turkey once when revealing breast, otherwise, no other basting required. Every turkey and chicken recipe I've seen says the same thing about testing for doneness: "Roast until the juices run clear, when you cut between the leg and the thigh." The thing is, when the turkey is sitting on a dark roasting tray and the butter is brown, there is no way you can see if the juices are run clear. Better to invest in a quick reading meat thermometer. Insert thermometer in thickest part of thigh. If it registers 74c/165F, the turkey is done. If it registers less than 74c/165F, crank up the oven to 200c/400F and roast for another 15 minutes, then check again. Allow the turkey to rest, under some loose foil, for about half an hour. Your bird will stay warm. When ready to serve, transfer to large serving platter. No other adornment required. 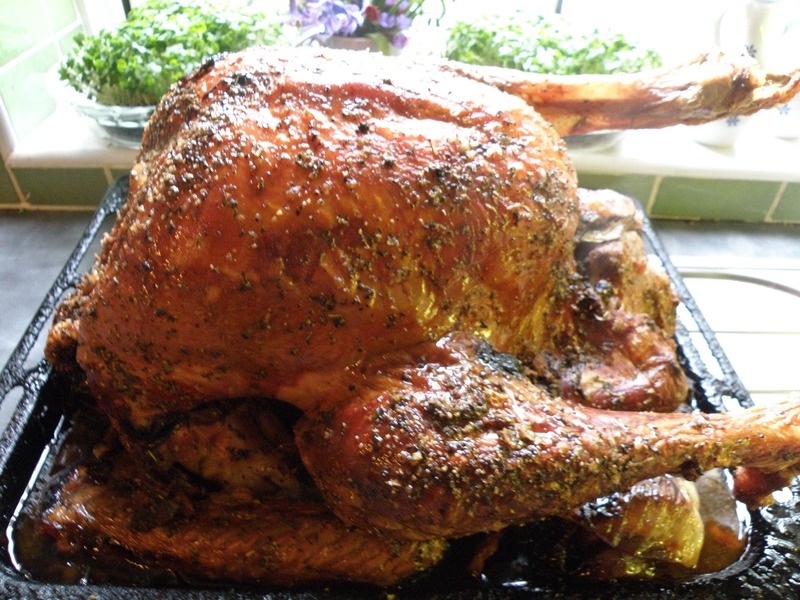 A roasted turkey is a thing of beauty unto itself. To Brine, or Not To Brine Turkey? I always thought brining seemed like too much work, but it's not if you have the space and proper container. It adds less than an hour to the preparation, while tenderizing and moisturizing a frozen turkey of dubious origin. 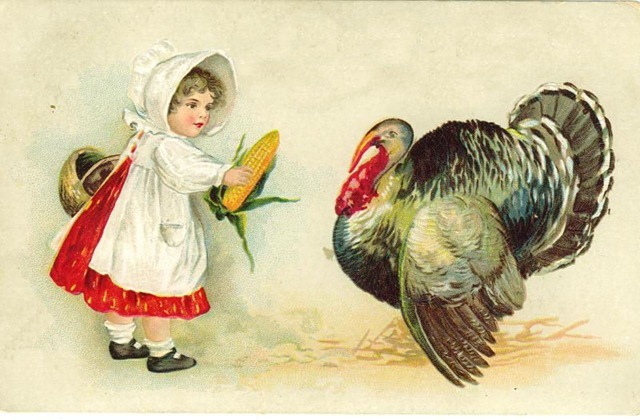 If you're turkey is fresh and has enjoyed a good life, skip this conversation. If it's a frozen supermarket turkey, you might want to keep reading. The biggest challenge is securing a container big enough to hold your bird, covered in salty water. You want something that will hold the turkey, along with about 8 liters of water. I use a huge, 32 cm/24 liter, stainless steel stock pot, with lid. After squeezing the bird into the pot, I take as much as I can out of the fridge and snugly juxtapose the pot between the bottom and top shelves. If you don't want to empty your fridge to brine the turkey, a cooler might work, as the interior is often made of food safe HDPE. It might be easier to keep the turkey cold in a cooler as well. If you can get your hands on an extra large food bag, made for turkey roasting, this works too, though you still need to place it in a solid container. Restaurant supply stores are a good place to pick up a container. Ideally, you want something made out of food grade plastic. HDPE, PP or polycarbonate are acceptable for brining. 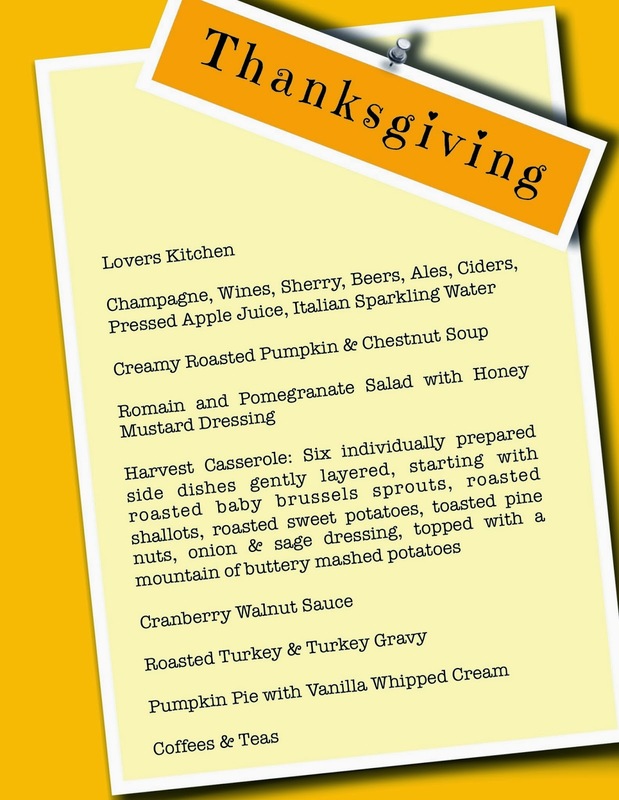 The turkey must be completely submerged in the brine. If you don't have a cover, place a heavy platter on the bird to keep it submerged. The meat and brine solution need to be kept below 4 celsius/40 fahrenheit. Soak meat at least an hour per pound, up to 24 hours. Unwrap turkey and remove neck, giblets and liver from cavities. Check thoroughly. Often a separate, small bag is slipped under the skin in the second cavity. Set aside for flavouring the gravy. In medium bowl, combine star anise, cinnamon, pepper flakes, pepper and peeled and quartered lemon. Mix well and place in turkey's cavity. In the container you have selected for brining, mix salt and sugar with 8 liters of water. Combine well. Place turkey in brining solution and cover. If the turkey is not submerged, add enough water to submerge it. Set aside in a cold place for 12 - 24 hours. Remember, the meat and brine needs to be kept below 4 celsius/40 fahrenheit. 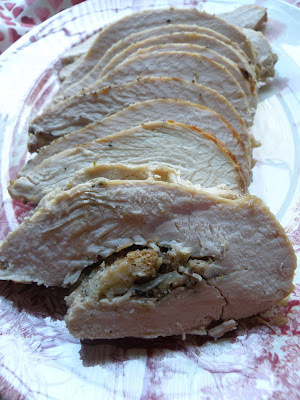 A couple of hours before you start roasting, remove turkey from brine. The bird will be very heavy at this point. Dispose of brine and thoroughly rinse bird, inside and out, under cool running water. Dry well with paper towels. Set on roasting pan, sopping up water as the turkey continues draining. 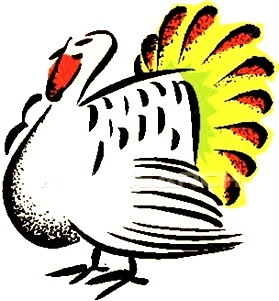 When turkey is well drained and dry, follow recipe for roasting, cutting salt in half. Brined birds seem to cook a little faster, but the skin is not as crispy as un-brined birds. Pretty and well-browned, but not the crispy texture I personally love. One way to guarantee a moist, sumptuous roasted turkey dinner, while having loads of time to enjoy your guests, is to cook the it the day before your feast. Even a budget turkey will taste like a million bucks when you prepare it like this. Remove turkey from oven. Allow it to rest for half an hour. Admire it. Sample it, especially the crispy skin. Place it in an enormous stock pot, breaking it down as required to fit. Squeeze the juice from lemons over the turkey. Fill the roasting pan with cold water, swish around to loosen up all the brown bits, pour it over the turkey. You'll probably need to do this several times until the turkey is nearly covered with water. Cover pot and simmer over very low heat for about four hours. Turn the turkey a few times to make sure all the meat gets a second cooking. Remove turkey from heat. Allow to cool in the juices for a couple of hours. Using a strainer, a second large stock pot and big bowl, strain the broth into the second stock pot, collecting the meat and bones in the strainer. Remove the meat from the bones, add the broth and refrigerate for up to two days. Before serving, reheat turkey and broth together. If you want to turn the broth into gravy, make a rue in a large saucepan by combining 125g/1/2 cup of butter and 125g/ 1/2 cup of flour. Stir over over medium heat until you make a paste. Slowly add a ladle of hot stock at time, stirring it into the paste until absorbed. Turn heat to high, continue ladling in the hot stock, stirring constantly, until the gravy is the consistency you like. Taste and season if required. Serve on a fluffy nest of mashed potatoes, or stuffing, with a side of cranberry walnut sauce and a smattering of well placed greens, like red endive, watercress, or purple sprouting broccoli. You can, of course, make a big vat of broth after you've served your turkey in the traditional style, but this process infuses the turkey with maximum flavour and moisture. If you want turkey for the carnivores at the table, without doing a whole bird, roast a tray of turkey legs with garlic/lemon/sage infused butter/olive oil. Season well with coarse salt and pepper. Cook in hot oven set at 185c/350f for about 90 minutes. Turn once half way through roasting. Serve with the harvest casserole.